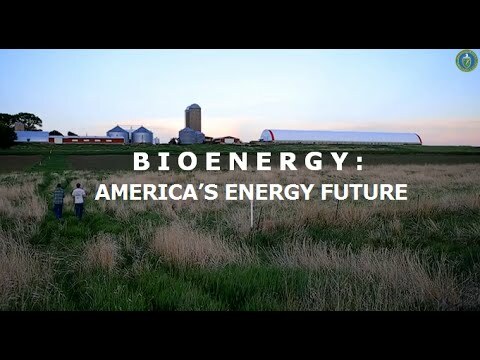 Bio Energy – the Future of Renewable Energy? Bio energy is the most widely used renewable and alternative source of energy in the world. It provides about 10% of the world primary energy supplies. 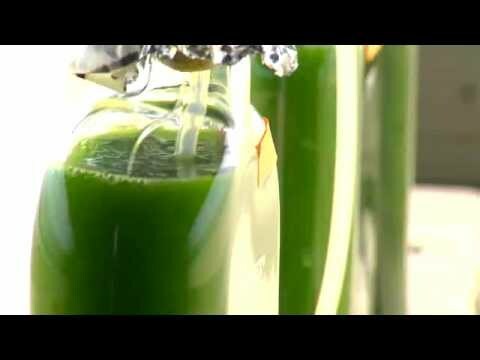 This kind of green energy has the potential to move the planet into a more sustainable future. Bio energy is a vast area that can be broadly divided into 2 sectors: bio mass energy and biofuels. Biomass is biological material derived from living, or recently living organisms. Biomass can equally apply to both animal and plant derived material. Biomass energy is derived from plant-based material whereby solar energy has been converted into organic matter. Sources include forestry and agricultural crops and residues; by-products from food, feed, fiber, and materials processing plants; and post-consumer wastes such as municipal solid waste, wastewater, and landfill gas. Most of the biomass we use for energy production today is wood. Biomass can be used instead of fossil fuels as the feed-stock to produce the greenest electricity. At the moment it is more expensive to produce electricity from biomass than from non-renewable fossil fuels. Anaerobic digestion – is applied to biomass that has a high amount of water like kitchen waste and sewage waste. Here microorganisms act upon the organic material under anaerobic (absence of air) conditions and convert it into biogas. Combustion – biomass is used to produce steam that runs a turbine. Gasification – the bio mass is first gasified and the produced gas is used in a gas engine to produce energy. Pro: Biomass is renewable and available in abundance. Transportation costs and power transmission losses are low, because it can be produced and consumed locally. Con: Biomass power plants are not totally carbon neutral and emission free, they emit small amounts of carbon dioxide, nitrogen oxide, and sulphur dioxide. What are the business opportunities in the biomass energy sector? Biomass offers good potential for small scale businesses development. It uses low cost technologies and the raw material is freely available. The bio-energy market can be expected to grow at a faster pace in the coming years. There are some significant opportunities in farm production for feedstock and the bio refinery processes as well as in the services sector along the value chain. There are also opportunities for individuals and who can identify such biomass waste sources (like empty palm oil fruit bunches, coconut fibre, nut shells …) and help industries procure appropriate technologies to use them. These are fuels derived from biomass and act as a replacement for conventional fuel. At the moment bioethanol and biodiesel provide about 3% of the transportation fuels used worldwide, but could provide up to 30 % by 2050 with projected improvements in renewable energy technology. Bioethanol can be used as a replacement for gasoline and is typically produced from plants like sugarcane, corn, maize etc. Biodiesel to replace diesel. Biodiesel is typically produced from soybeans, palm oil seeds, sunflower, rapeseed, jatropha, algae etc. Pro: they are carbon neutral and renewable. Con: feedstock for the biofuels are primarily food products. A possible increase in agricultural products prices. There is a need for more eco-friendly, later generation biofuel feed-stocks, like jatropha and algae for biodiesel and cellulosic feed-stock (waste biomass from crop waste, wood, leaves). Biomass resources generated in the United States by county. Related to Bio Energy – the Future of Renewable Energy?